WASHINGTON, Mo. - Texwrap, powered by ProMach, introduces at Pack Expo, September 25-27, the Auto-Mailer 2410, a smart high-speed e-commerce fulfillment system for lowering labor and reducing shipping and materials costs when bagging apparel, accessories, household goods, and items. 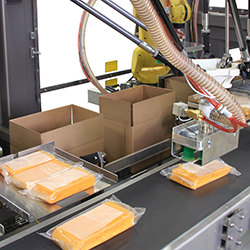 The Auto-Mailer 2410 is one of several innovative bagging, shrink wrapping, and bundling systems on display at the Texwrap and Tekkra exhibit (Pack Expo Booth # C-2825) . 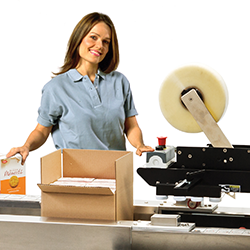 The Auto-Mailer 2410 differs from other all-in-one polybag packaging and labeling systems in its ability to create custom bags for each product, which is based on the product's width, height, and length. 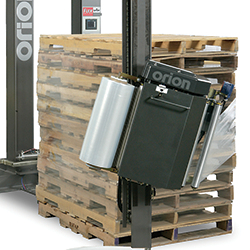 With the ability to calculate height, the Auto-Mailer 2410 creates a better fitting shipping bag and minimizes polyethylene film consumption on almost every product packaged. Because of its advanced features, this Texwrap system decreases material usage and maximizes efficiency for end-of-line mailer fulfillment. 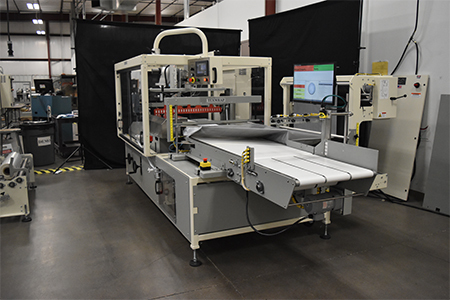 As well as optimizing polyethylene film consumption, the high-speed Texwrap Auto-Mailer 2410 enables e-commerce operations to lower dimensional weight (DIM) charges by transitioning from boxes to bags while minimizing the labor input required, achieving up to 20 packages per minute throughput. This machine is built for 24/7 operation and features a host of easy to operate and maintain features. The Auto-Mailer 2410 can bag an exceptionally wide range of products starting as small as 2 inches wide by 4 inches long, and going up to as large as 24 inches wide by 10 inches high and any length. The 2011 is Texwrap's continuous motion side seal shrink wrapper for applications demanding high throughput speeds with maximum package flexibility. With standard auto spacing control, horizontal as well as vertical photo eyes, and the ability to precisely vary conveyor speeds to relax the film between products, the 2011 can accommodate randomly fed or choke-spaced product and accurately separate them for reliable, consistent packages using the absolute minimum amount of film. Be sure to stop by the Texwrap and Tekkra Booth # C-2825 to see these machines and learn more about the group's ability to be a single source supplier of reliable, high-speed, small footprint, and easy-to-use e-commerce bagging, shrink wrapping, and bundling solutions. Call 800-886-7421 and visit www.texwrap.com for more information. Known as the industry innovator, Texwrap holds patents on some of the most significant breakthrough technologies in the shrink wrapping and bundling business. Texwrap produces automatic shrink wrapping systems, L-bar sealers, side sealers, tunnels, infeed solutions, and conveyor systems for the food, bakery, industrial, mailing, pharmaceutical, nutraceutical, retail, printing, and publishing industries. 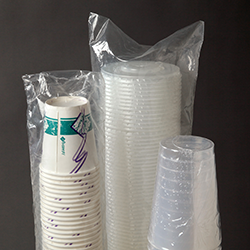 Texwrap also manufactures the Tekkra line of shrink bundling systems. As part of the ProMach End of Line business line, Texwrap helps our packaging customers protect and grow the reputation and trust of their consumers. ProMach is performance, and the proof is in every package. Learn more about Texwrap at www.Texwrap.com and more about ProMach at ProMachBuilt.com.